2016 Stohs Prospect Handbook Profile: Originally signed by the Tampa Bay Rays, he spent five seasons in that organization peaking in the Midwest League. After not pitching in 2012, he pitched in Venezuela before signing to play for Wichita in the American Association. 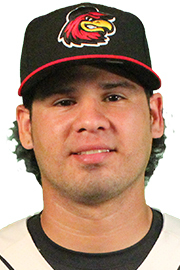 He was also traded to Laredo in mid-June. Combined, he went 6-1 with a 3.19 ERA before signing with the Twins. He is again pitching for Margarita in the Venezuelan Winter League.